Once every four years (this will be the third time for deVine’s) we host this special tasting right in the middle of the world’s most famous soccer tournament, the FIFA World Cup of Soccer – we’ll be tasting wines from some of the participating countries from the hosts Brazil (perhaps a wine from Brazil – how exciting would that be?) 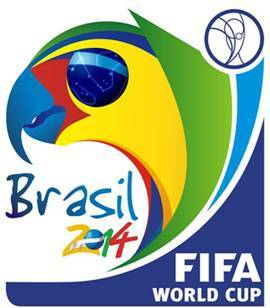 to Germany, France, Italy, Argentina, Portugal, United States, Australia and the defending champs Spain. Join us for this event scheduled for Saturday, June 21st at 7pm. Most of the participating countries would have played two games in the opening group stage by then, so there’ll be some conversation to be had about how your favourite team is doing. What a hoot it was last time, with participants wearing their favourite team jerseys, caps or dressed in flag colors and talking more soccer than wine! This is a social rather than technical tasting, and football talk will be referee’d strictly and perhaps Chris will lead us in a chorus or perhaps a chant or two…This is a stand-up event, and a not to be missed party on a scale befitting the sport. Now, that’s quite the lineup! Book early as this is always a sell-out. Wanting to learn more about wine? Well, it’s time for another session of our ever popular Wine Basics, the introductory wine appreciation themed tasting to be held at deVine’s this coming Thursday, May 22 at 7pm. This 101 tasting is a great way to get into wine. After the reception wine, we will taste three whites and three reds which are typical of their varietal. We will touch on the essentials of wine appreciation (color, taste, finish), wine serving tips, food pairing and wine etiquette all in an informal, relaxed setting where questions are welcome anytime. This sit-down event sells out every time, so for those beginners wanting to delve into the world of wine, this is a great starting point. 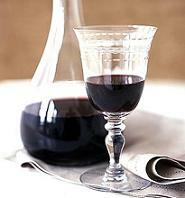 See the wines and register here..
What’s the fuss with Belgian Beer? Why is Belgian brewing so often regarded as the world’s best? Much of it has to do with history and tradition going back two millennia. In Julius Caesar’s conquest of Gaul near the height of the Roman Empire, he wrote that the Belgae were the bravest fighters he encountered. Then, Caesar being Caesar, his fifteenth legion soundly defeated his opponents on the battlefield. This precedent continued for centuries, and though Belgium has struggled to defend again foreign armies, the nation’s brewers nevertheless reaped the rewards of hegemonic cultural influences on local brewing traditions. Under the 400 years of Roman rule, Rome’s viticulture influenced Belgian brewing in ways still seen today. The Celts were already drinking high potency beers in the age of antiquity, but numerous winemaking applications were applied by brewmasters during this period, notably spontaneous fermentation (found in today’s lambics), cask aging, and bottle conditioning. As the Roman Empire crumbled in Western Europe, Germanic tribes pushed into Gaul from the East, and the area of Belgium suddenly had new rulers. German culture again blended with the existing Gallic and Roman cultures, but never fully replaced one another. Modern Belgium is in fact divided between French speaking regions in the West (the linguistic product of Roman and Gallic culture blending), and German speaking areas in the East. However, the Germans did bring their wheat and wiessbier brewing techniques to Belgium’s already rich brewing tradition. The final major pre-Belgian independence shift in brewing came during the 11th century, in the era of the first crusades. With the permission of the Catholic Church local French and Flemish abbeys began brewing and distributing their own beers in small quantities as fundraising for their operations and charitable activities. Their artisanal methods evolved over the centuries into some of the highest regarded breweries in the world. Such beers are split into two certifications: Trappist and Abbey. Trappist beers are a more exclusive certification, whereby the brewery must be in a monastery, the monks must be significantly involved in production and distribution, and all profits from production must support the monastery or its charitable works. “Abbey beers” however, are a term applied to any monastic or even monastic-style beer, commercial or otherwise. Only ten Trappist breweries currently exist in the world, six of which are in Belgium, and five of which you can find at deVine wines: Achel, Chimay, Orval, Rochefort, and Westmalle. Whether Trappist or Abbey, almost all beers brewed in this tradition conform to three very distinct styles: blond, brune, or tripel. The “dubbel” and “tripel” labels often associated with Belgian beers also stem back to this period. In days before precise measuring, brew strength was best altered by simply adding twice (6-8% ABV), or three times (8-10% ABV) the regular ingredients, and differentiating the beers by differently coloured labelling (Chimay’s white, red, and blue caps) or a numbering system (Rochefort’s 6, 8, and 10). Over the centuries, more surrounding nations ruled or plundered through Belgium’s low lands, including the Vikings, French, Austrians, Spanish, and Germans multiple more times. While the brewing traditions were set, consistently living under hegemony fostered strong local traditions of resistance against authority and any organised government. As a result, Belgium is home to many corrupt politicians and the world’s highest ratio of debt to GDP. Yet unlike Germany’s strict beer purity laws, Belgium’s brewing community is afforded great stylistic freedom. Since the middle ages, pubs and breweries are often the cultural centres, a factor only bolstered by the breweries associated with abbeys and monasteries. Over the centuries, these local brew masters have been left to their own devices and collectively the community has formed its own traditions and earned a stellar reputation. In addition to the aforementioned Catholic brews, Belgium is home to a number of other distinctive beer styles. Most distinctively, lambics are top-fermented wheat beers which are exposed to spontaneous fermentation. That is, rather than conventional beers which are carefully fermented by cultivated yeast strains, lambic is exposed in the open air to wild yeast and bacteria. In Belgium lambic is produced in the Pajottenland region in and around Brussels, and the yeasts infecting the beers are to the local Zenne valley. This idiosyncratic process of spontaneous fermentation gives lambic its uniquely tart, sour flavours. Brewed in the ideal winter months, up to eighty identifiable microorganisms can be found within a single lambic. Lambics were among the first beers to use hops, since at least the 11th century, for antibacterial preservation and the bitter, citrus-like qualities they contribute to the palate. 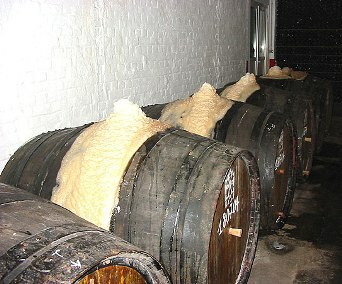 All lambics are produced with aged, dried hops for decreased bitterness. After fermentation begins, lambics are moved into oak barrels, most often from sherry or port, then matured from anywhere between one to three years. Finally, many lambics are blended either between different ages (gueuze), or sweeted with fruit for a tart summer beverage (for instance Kriek and Boon), often with secondary fermentation. Flemish or Flanders red ale is Belgium’s sour version of ale, usually brewed out of West Flanders. Similar in origins to an English porter, these red ales are given sour notes by more classical direct fermentation. These beers also undergo extensive aging, and their distinctive red colour is supplied by red malt. The palate is often described as a less intense sour note to lambic, though still intense, with pronounced fruit elements, and even wine-like tannins. Try the Duchesse de Bourgogne and Rodenbach at deVines to get to know the best examples of this ale. 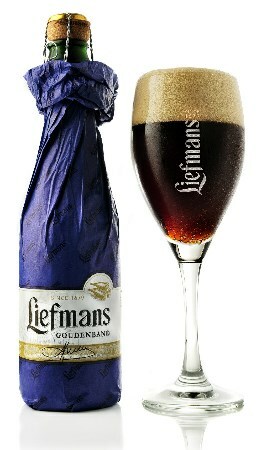 Try Goudenband as a brown ale cousin to this same style. Witbier in dutch, blanche in French, and sometimes called white beer in English, is a Flemish beer also brewed in Belgium since the middle ages. The oft-used ‘wheat’ English name for this style is actually somewhat erroneous, since most wits come from a mixture of wheat and barley where the former is simply used in greater quantities than normal. True Belgian witbier also contains gruit, a mixture of flavouring and preservative herbs often including coriander and orange peel, which pre-dated the wide availability of hops in Europe. Try the St. Bernardus Wit for an exemplarily release of this style. Contemporarily, Belgium is home to about one hundred and eighty breweries, from trappist microbreweries to the world’s largest brewing conglomerate, producing everything from blond ales to blended lambics. Nearly every style of beer has its own style of glass to bring out the best olfactory experience from the brew. The Romans, Germans, and multitudes of our nationalities still move into Belgium today, but only for a few weeks at a time, in much smaller groups, stay in hotels, and seem satisfied with consuming Belgium’s world-famous beer.